Hello Linux Geeksters. As you may know, Lightworks is a popular video editing software, used in the movie industry, as an alternative for Apple Finalcut, Pinnacle Studio and Avid Media Composer, providing tools for processing videos in the most popular free and proprietary formats: H.264, XDCAM EX/HD 42, Avid DNxHD, AVC-Intra. 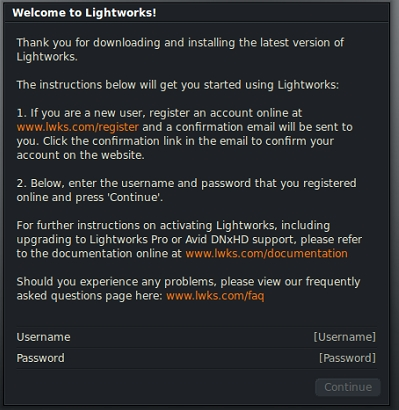 In this article I will show you how to install Lightworks 12 on Ubuntu 14.04 Trusty Tahr, Linux Mint 17 Qiana, Pinguy OS 14.04, Elementary OS 0.3 Freya, Deepin 2014, Peppermint Five, LXLE 14.04, Linux Lite 2.0 and other Ubuntu 14.04 derivative systems. To install Lightworks 12 on Ubuntu 14.04 and derivatives, we have to download the deb package from the project’s website and install the it via command-line. Also, we have to download and install the needed dependencies. After the installation has been successfully done, register online to be able to access Lightworks.